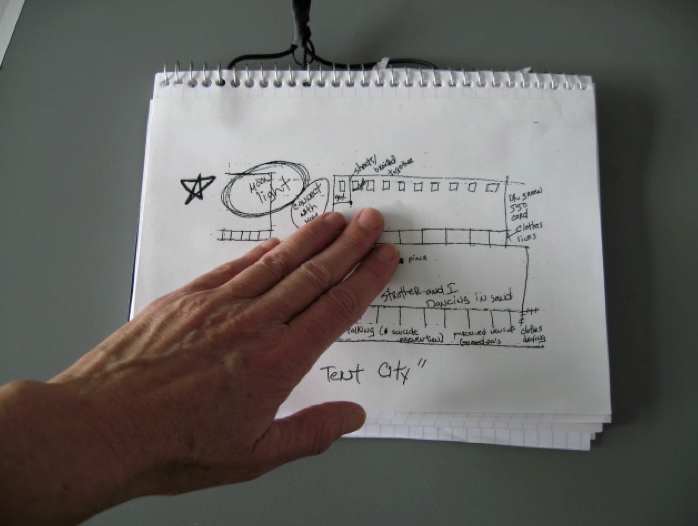 Called Out is a series of interactive, touch sensitive artworks that asks the public to embody the solitary experience of writing and reading through touching and listening. The text, sound and surfaces are based on the hand-written journal entries and creative writing of a United States Army Veteran, Pvt. Kristine Wise. 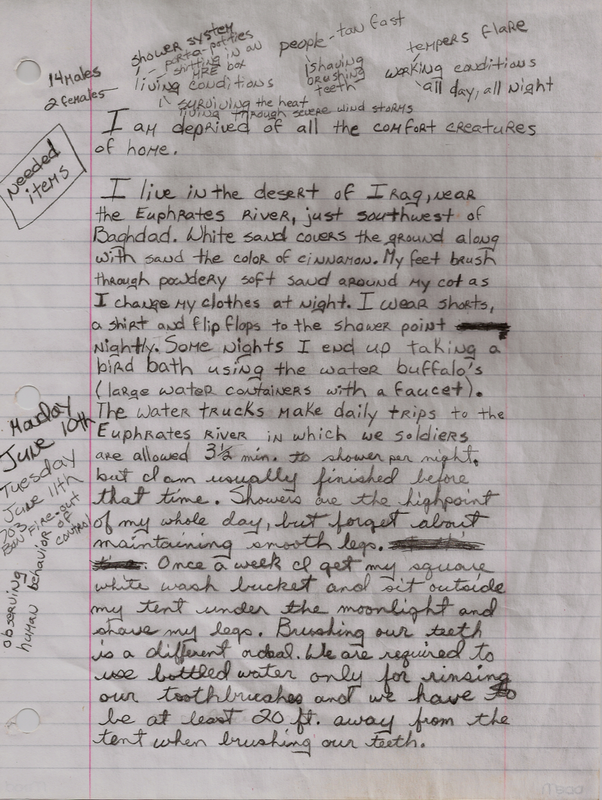 The resulting artwork focuses on fragments of heavily crossed out words and phrases from her journals. 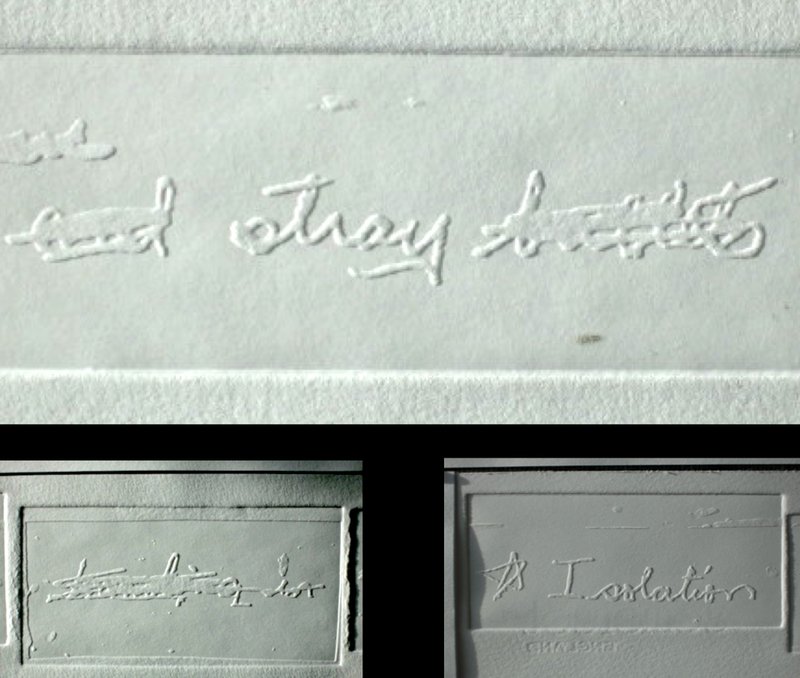 Selecting these inscriptions draws attention to the dual nature of the journals; the organization of private experience and the desire for public communication. 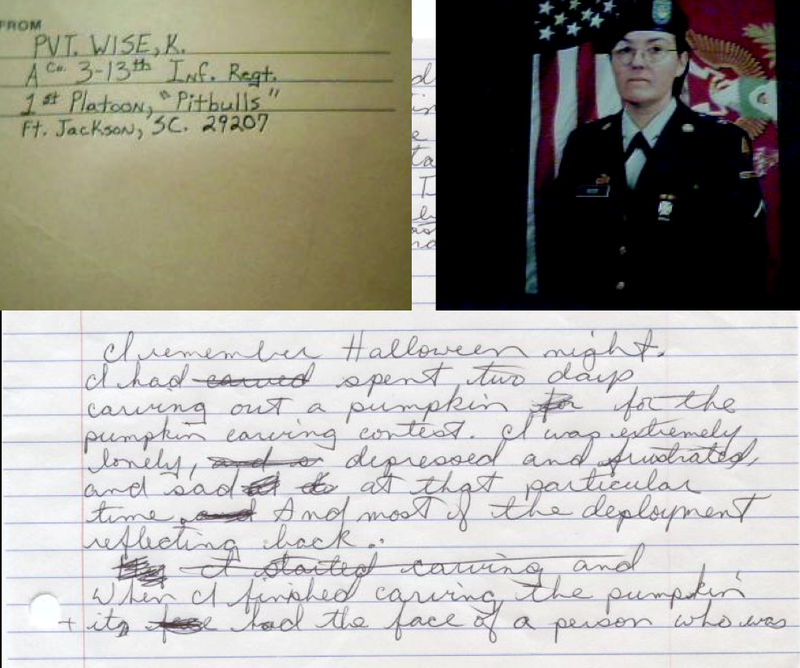 I transcribed Pvt. Wise’s writing as a trace of her thoughts, feelings and experiences into raised, touch-sensitive surfaces, that when touched, allow us to hear her writing. The quality of touch determines how and what we hear. When squeezed tightly, the narrative is interrupted by descriptions of physical states of Post Traumatic Stress Disorder (PTSD). The touch required is one of condolence, a simple and thoughtful pressure of laying one’s hand on the shoulder or arm of the sufferer. Called Out incorporates small gestures and close listening with the intent of creating a sensuous connection between the material, the writer, the reader and the listener. The project seeks to translate her writing into a kinesthetic and affectively resonant experience for the public, situating their direct connection with the script. Read the essay here. "Called Out" was produced at the Banff New Media Institute Fellowship.